Posted on 30, January 2019 by EuropaWire PR Editors | This entry was posted in Healthcare, Industrial, Metals and Minerals, Science, Small Business, Switzerland, Technology and tagged 3D printing, additive manufacturing, Empa, implants, Industry 4.0, Jaw implant from 3D printer, medical devices, medical technology, medtech, Pierangelo Gröning, printed parts, Swiss industry, Swiss m4m Center, technology transfer. Bookmark the permalink. SOLOTHURN, 30-Jan-2019 — /EuropaWire/ — A new technology transfer center in the Bettlach, canton of Solothurn, Switzerland, aimed at transferring new manufacturing technologies for medical applications to the medtech industry accelerating research at the same time has been established and is scheduled to go into operation at the end of 2019. The center has been named “Swiss m4m Center” and is intended to serve the transfer of knowledge and technology. The new center will house facilities for manufacturing implants and other medical devices using the same manufacturing processes as industrial production. Both companies and research institutions are given a chance to book and use the center’s infrastructure and services. Swiss m4m Center will be organized in the form of public-private partnership and will be financed and operated by both public funds and private companies. Swiss cantons of Berne and Solothurn as well as number of partners from research, hospitals and the private sector are involved into the Swiss m4m Center. The center is built on the site of Bettlach medtech company 41medical. To make sure Swiss m4m Center is not going to be the only one in Switzerland, Alliance for Advanced Manufacturing Technology Transfer Centers (AM-TTC) has been established. AM-TTC’s aim is to close the gap in technology development between research and industry and maintain Switzerland as a modern, high-quality production location in the long term. AM-TTC plans to operate a network and an alliance of technology transfer centers that offer open access to their respective infrastructures. In fact, eleven other centers like the Swiss m4m Center are being considered and planned covering various sectors like battery cells manufacturing, use of digital manufacturing technologies and robots in the construction industry. Empa is further expanding its leading role in additive manufacturing technologies (3D printing). In addition to the “Swiss m4m Center” and the “Coating Competence Center” launched in 2016 on the Empa site in Dübendorf, which houses various 3D printing systems for research purposes, a competence center for additive production of metallic alloys is currently being built in Thun. “In order to successfully transfer new technologies to industry, the experience of industry on the one hand and new materials and findings from research on the other are necessary. The challenge is to bring both together. This is precisely what we want to achieve with the new center in an important sector for Switzerland, medical technology”. 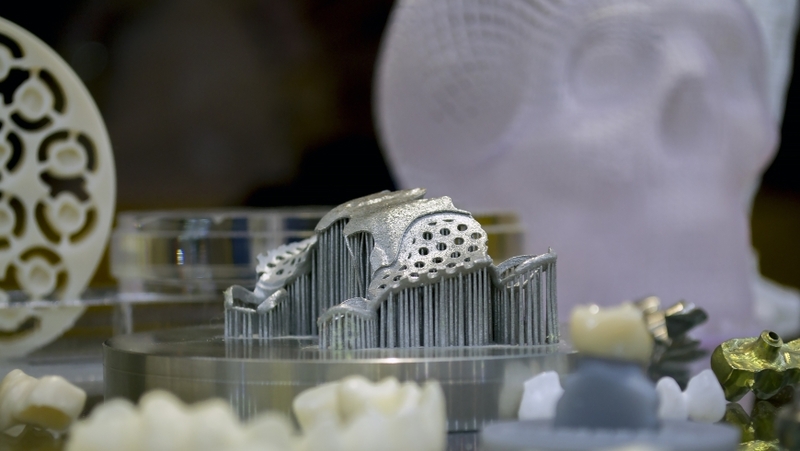 Experts will demonstrate and explain the advantages of the 3D printing for patient-specific implants and medical applications on a special, free of charge, event on 19 February at the Old hospital, Solothurn. Registrations can be done on empa-akademie.ch/3D-Druck.